Sunny Harbour Cat Rescue opened its very own Cat Care Centre in August of 2013. 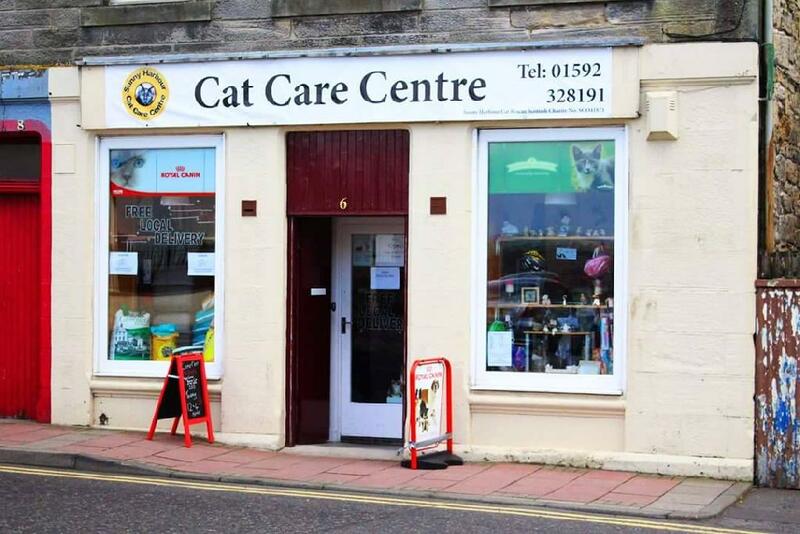 It is based in Lochgelly, Fife and provides dedicated advice to cat owners on all aspects of cat care. The centre also provides the base for our shop where all profits help fund our cat rescue work. You can also shop online through the link in the menu above on our website. Our microchipping and cat nail clipping services are provided from the centre with standard Microchip implant prices only £10 per animal (cat, dog or rabbit). We are also happy to help with cat grooming especially to help with long hair cats with recurring matting. Cat Claw Clip is just £5. Call in when you are passing by or give us a call on 01592 328191. We are located next door to the Rosewell Pharmacy. Please note that no animals are housed at this location.